We offer a wide variety of classes for quilters of all styles and skill levels. The experienced instructors are friendly, and there is a no pressure atmosphere that encourages learning and creativity. The classes are a great way to make new friends. Open sews are when you bring in a project of your choice to “hangout” with others. 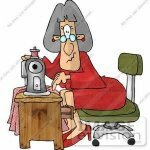 Your projects may involve: piece cutting, piecing, EPP, paper piecing, planning, picking fabrics for your project, basting, free motion quilting on a domestic machine , binding, etc. There are three design boards in the classroom to be used for laying out blocks and rows. There are also some knitters that join the group, so bring a friend to hangout with. If you have any type of a sewing project, even clothing or bag making - everyone is welcome. Sewing machines are available for rent ($10 cash applied to the Quilt of Valor fund). If your machine is being serviced, or you are on vacation without a machine - you can still join the fun. A great feature of The Quilt Lovers Hangout location is that we are in the same parking lot of several lunch/dinner options. The restaurants available in the same parking lot include: Mexican, Rib City Grill, etc. There are also multiple places that will deliver to the quilt shop. For individuals that bring lunch, we have a refrigerator available for use. We do not have a full kitchen for cleaning dishes. All classes have a class fee and/or book fee. All classes must be paid for at time of registration. The website will not allow you to add a class for payment, if the first session of the class has already started. Pre-registration is preferred, since this allows us to prepare for the number of students coming and also avoids having the class cancelled if there are not enough students. CANCELLATION and REFUND POLICY: We make a commitment to our teachers one week prior to the start of each class. Refund will be made for cancellations ONE WEEK or more ahead of class starting date. If you find you are unable to attend after the one week deadline, you may find a replacement student to take your place. If class is canceled due to insufficient enrollment, enrollees will receive a full refund. Great bag for travel, cosmetic bag, purse organizer and sewing project bag. This is a beginning T-Shirt class that covers cutting, fusing and framing t-shirts. This is a basic class for 2 hours during the morning. If you are interested in more complex filler designs on a t-shirt quilt, then you can also sign up for the Advanced T-Shirt design class on the same calendar day, but during the afternoon. This class is during the afternoon and covers advanced t-shirt quilt design. This includes filler blocks which are placed between your t-shirts. The beginner t-shirt quilt class is in the morning and covers how to fuse your t-shirts and apply sashing and borders. This pattern sells out in the shop! This is a class for a beginner and will cover the basics of quilting. The finished size of this project is 15 in x 63 in. Buy the end of this class the project is expected to be finished. Learn the basics of walking foot & free motion quilting with Judy Sherman in a one-day workshop. Free motion quilters gather to work on projects. Open group for hand work doing English Paper Piecing sewing. Our favorite night of the month! It's an open sew with other quilt lovers. Bring your machine, your current WIP (that's work in progress), and enjoy an evening with other people who just love to sew! Price includes dinner. Please sign up online or by calling. 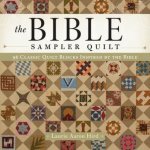 Continuation of Farmer's wife, adding help with the Bible Sampler written by Laurie Hird, and help with any project you may wish to work on. Interested in being a member of Quilt Lovers' Hangout Quilts of Valor Group?? Plan to attend this informational meeting.